From My House : Make a footstool out of water bottles???? No Way! Make a footstool out of water bottles???? No Way! Now this is recycling!!! 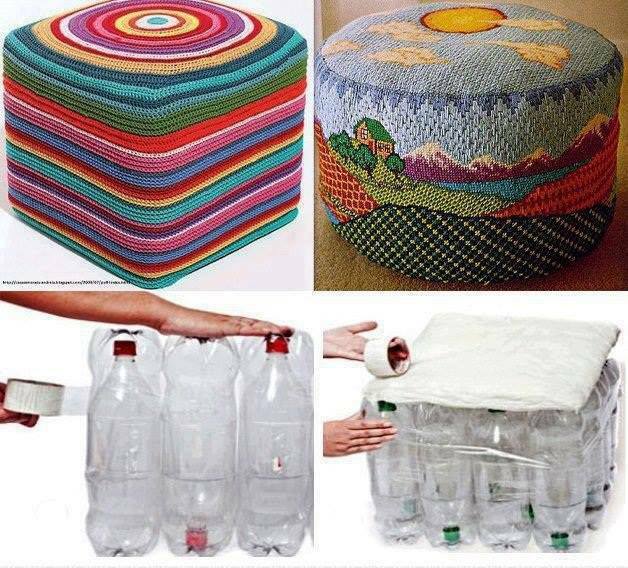 Make a foot stool out of plastic water bottles. Cover and voilia' you have saved many bottles from the landfill. NOTE: I checked online to find out WHO to give the credit to. I could not find it. I'm sure they will find me and when they do I will UPDATE you all and give credit where the creative credit is due.